How does one decorate for adultery, the struggle for personal liberty, and searing self discovery? Kate Chopin’s classic novel is set outside of turn of the century New Orleans on an island off the coast of Louisiana. The obvious theme here, for modern day, is Southern hospitality mixed with Cajun flavor, and we ran with it. We're really settling into a fun routine of setting up our literary themed dinners lately. We concentrate most of our efforts on pulling out details from the book, some of which are literal things, like the pool of candlelight in the center of the table, the red and yellow roses, or the beer and gruyere cheese with crackers mentioned in The Awakening. Other things we took less literally, like using the spirit of the Southern setting and making jambalaya for dinner, or sprinkling seashells on our table to pay homage to the prominent role the ocean plays in this novel. There's nothing terribly complicated or time consuming about it, unless we want to choose a more ornate element. We made garnet colored cocktails in honor of Edna's own dinner party libations, and had a simple box of chocolates in place of the oft mentioned bon-bons to pull it all together. See? Easy. And delicious. This was our first dinner with another guest alongside us (Michaela's brother! ), and it was even more fun to have someone else to share the evening with and talk about the book. The best part is that he actually chose this book for us all to read, and had quite a different take on many aspects of the story compared to us girls. The Awakening by Kate Chopin was beautifully written and the controversy over the female protagonist's burgeoning independence during the late 19th century was enjoyable to watch unfold. Some of us were even rooting for her! 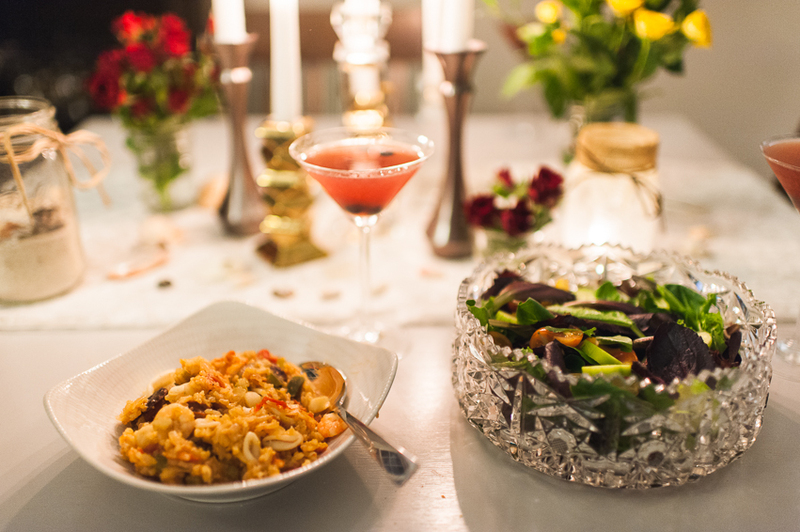 Have you thrown a literary dinner party lately? Tell us about it in the comments or tag us at #The ArdentBiblioReads, cause we'd love to see!